Despite consulting a ground hog, circling dates on the calendar, even dressing for the season we want, not the one we have – the warm, spring weather has evading our grasp. 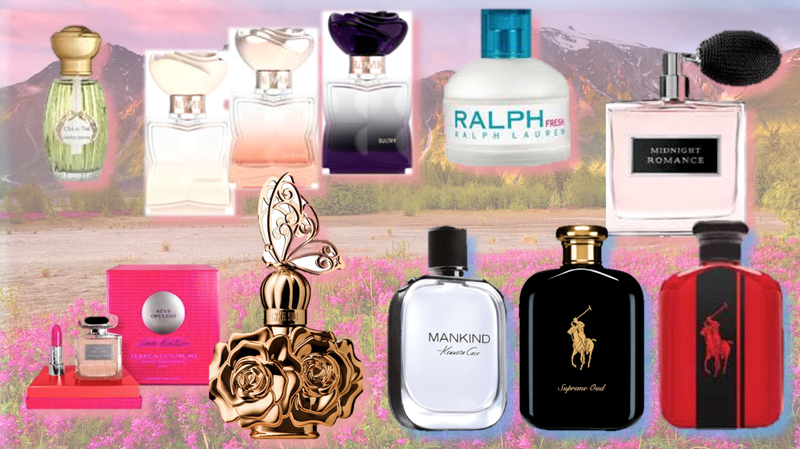 While we wait for the weather to turn, and flowers to bloom, we are embracing floral scents and invigorating our endorphins with a bouquet of seasonal fragrances. Inspired by Camille Goutal and Isabelle Doyen’s visit to Jeju, an island off the coast of Korea, they worked to create a fragrance with a palette of greens and oranges infused with a note of tea. Notes include White Musk, the luminous zest of Mandarin, the velvety scent of Osmanthus and deep green tea leaves. A fragrance collection for the modern day “every” woman juggling love, friends, family, work… life. All three of the scents included in the FLOWER Fragrance Collection capture the joy of life and love, in all of its meanings. Change your scent as often as you change your mood. Wear alone or combine throughout the day so your fragrance evolves with you. Cherished (white bottle) – this comforting and nuzzly floral, captured in a hug of skin musks and powdery notes that surrounds you like a soft cashmere blanket. Introducing RALPH Fresh, the fragrance that refreshes your zest for life – designed for the girl who is free-spirited, exhilarated and radiant. Inspired by a sparkling sorbet cocktail, the ultimate in refreshing drinks, this floral citrus fragrance is a sparkling mix of zesty yellow lemon, sweet magnolia and chilled watermelon. For Terry de Gunzburg, life is made of words, Love and Colors. She dedicates her new creation to all the romantic women in the world: passionate, perfumed and colorful letters held in a vibrant limited-edition case: RÊVE OPULENT. The designer daringly unites two carnal expressions of ultimate femininity: a floral eau de parfum, RÊVE OPULENT, and a ROUGE TERRYBLY fuchsia lipstick taken to the very height of sensuality. The fragrance – RÊVE OPULENT – is a fresh blend of mandarin and white peach. At the heart, a gardenia blooms from the explosion of the most beautiful Indian Sambac jasmine flowers swirled into Turkish rose. In the trail, this floral kaleidoscope reveals a musky vanilla harmony. La Nuit de Bohème Eau de Toilette conveys a power that nothing else has. One of elegance and sophistication. Luxury and femininity. There is an air of mystery about it, a seductive allure that captures the heart and stirs the senses. Welcoming the night with open arms, she dances into it, aware of her flirty, girly charm. The fragrance opens with the fizz of champagne citrus and midnight blackberry, then deepens to gilded lotus flower, Rose Petale™ and the lengthening play of evening with sunset oud wood. As a final finish, it plays out with cedarwood heart, Haitian vanilla orchid, Indonesian patchouli and golden amber resin. A gilded, glistening fragrance of pure gold. MANKIND Ultimate by Kenneth Cole is the newest addition to the MANKIND fragrance collection. This limited edition scent continues to celebrate the evolution of the modern man – confident, connected and ready to take on today’s challenges. The Ultimate Man is a man who inspires, who demonstrates strength every day, and always perseveres. The fragrance opens with citrus accord mixed with cucumber and a splash of watery effervescence on the top. Middle notes include cashmere woods and vetiver root wrapped in an aromatic floral. The bottom notes hold the strength and foundation of the fragrance using sandalwood, oak moss, tonka crystals and a trail of addictive musk to captivate the senses. Shift your masculine senses into overdrive with Ralph Lauren’s new and bold fragrance, POLO RED INTENSE. This powerful, masculine scent ensures a higher concentration of ingredients, building on the winning formula of POLO RED for a more robust and longer-lasting aroma.